In this episode Charles and host Kimberly Henrie discuss how to tell if your sterilizers and autoclaves are working correctly. The two waste no time and begin by talking about an article about someone who contracted a disease during a dentist appointment. Tune in now to hear Charles’ thoughts on that! In this podcast Charles also explains the importance of sterilization from beginning of a procedure to the very end – and not just for patients. Tune in to hear reasons why it is just as important for medical staff to take precautions against cross contamination. Listen to the entire episode now! 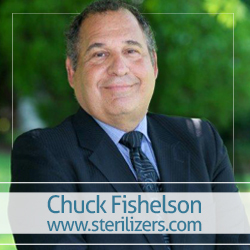 If you have a specific question for Charles after the show, you can contact him at http://www.sterilizers.com or visit the company’s facebook page where you can post a question, a comment, or just get some general information.